Ficaria Guett. 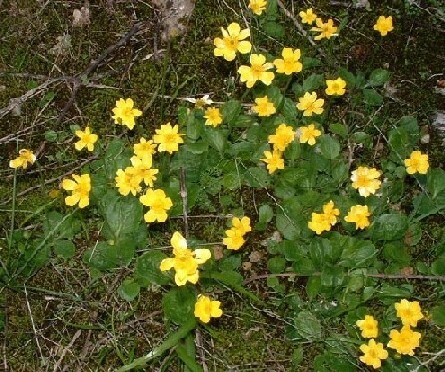 is a small genus in the Ranunculaceae family with currently 4 accepted species, which was separated from Ranunculus after phylogenetic studies in 2005. 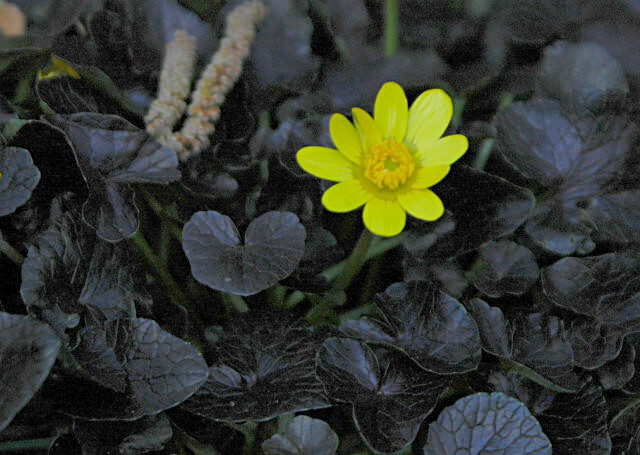 Ficaria verna Huds, syn. 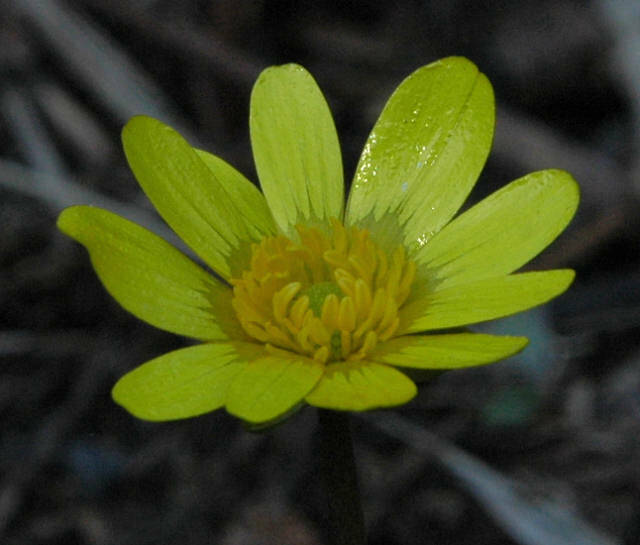 Ranunculus ficaria is the most common species, dwelling in a wide variety of habitats from shady places to open fields. Originating from Europe, it has become invasive in large parts of North America, partly because of its small, brittle cluster of tubers, each of which may form a new plant, allowing them to spread rapidly through insufficiently cleaned agricultural tools. 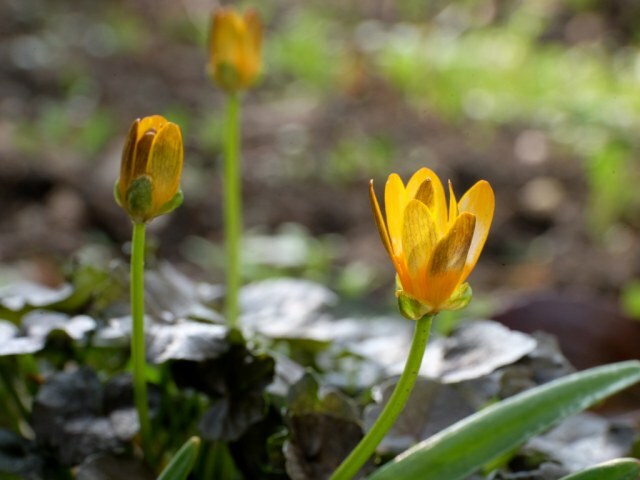 The plants appear in early spring, flower quickly and go dormant by the end of May, so they can be useful as an early ground cover around plants which are later to emerge. There is quite a variation in appearence partly due to the fact that there are diploid and tetraploid forms around. 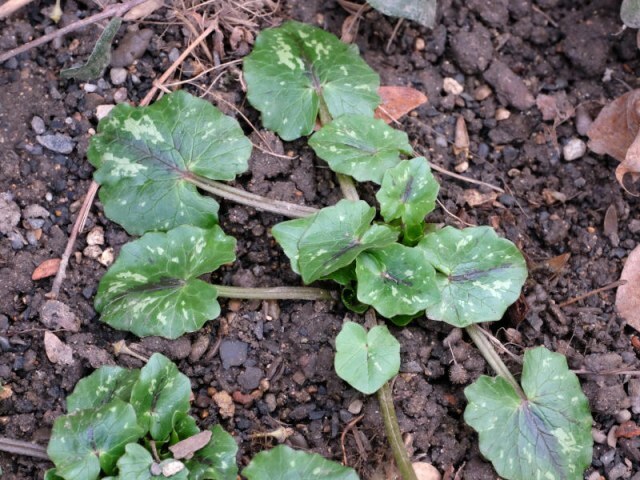 Some report the usage of Ficaria verna as food, though it is like most Ranunculaceae poisonous when fresh. The toxins are destroyed both by cooking or drying. The first photo was taken by Angelo Porcelli. 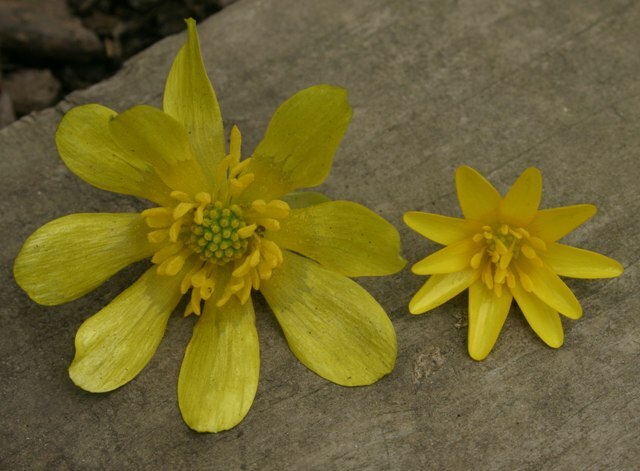 The second photo was taken by Jim McKenney who wrote: "Shown here are two forms, both presumably forms of Ranunculus ficaria. The one on the right is typical of the several feral forms which infest local woodlots and gardens here in Maryland. The one on the left is a large-flowered form which grows in a local garden. This large-flowered form has been identified as Ranunculus ficaria ssp ficariaeformis" which in turn was later identified as the tetraploid form. The third photo shows a form with patterned leafs which appeared in Martin Bohnet's garden in southern Germany among the green forms, while the fourth shows the underground organs, proving tolerance against being dug under. 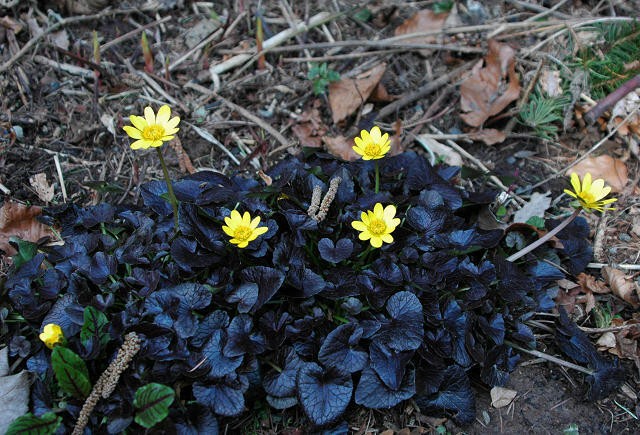 Ficaria verna 'Brazen Hussy' is a cultivar with dark brown to black leaves and shiny bright yellow satiny flowers. Some pbs list members say it can be a bit of a thug spreading over time and others have trouble keeping it going. If moved, a few tubers are often inadvertently left behind to keep the patch going. It is dormant for part of the year. Photos taken by Mary Sue Ittner in a Portland, Oregon garden. 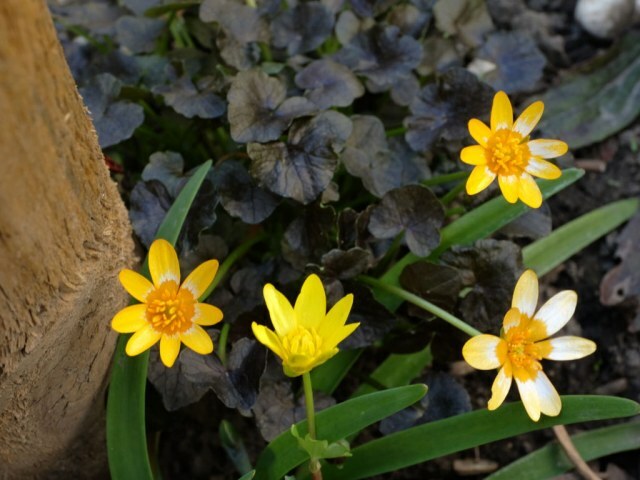 Ficaria verna 'Copper Knob' is another dark-leaved cultivar with a somewhat warmer but fading flower color than the basic form. 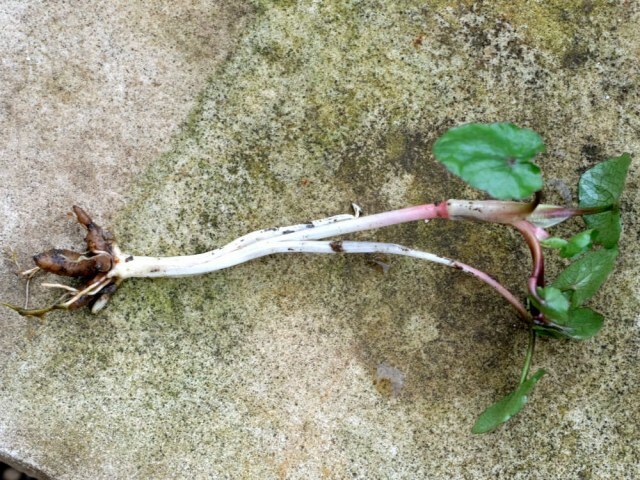 Photo 1 shows three flowers of Copper Nob in three stages of fading and a base form flower for color comparison. Photo 2 shows the dark color of the leaves is also affecting the outside of the flower buds.